We all know that Facebook is now a household name in the world of social media. Facebook now attracts over 1 billion daily active users. It’s not surprising to see most marketers include Facebook advertising as part of their strategy. Creating an effective Facebook campaign will depend on how focused your target audience is. 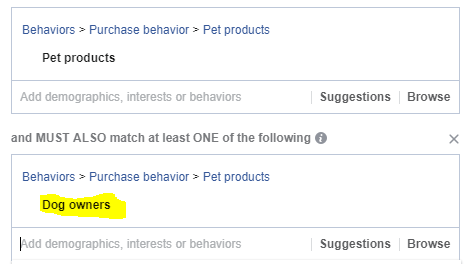 Although this might seem simple, sometimes laser targeting Facebook ads can be elusive as finding a needle in a haystack. Facebook has introduced various advanced targeting options to help marketers reach their target audience. Mastering these advanced targeting options will help you laser target your Facebook ads. Targeting on Facebook should be approached in a way that will enable you to reach the most potential buyers for your market niche. For instance, if I want to reach boxing fanatics on Facebook, targeting “Mohammed Ali” as an interest will not be ideal. Mohammed Ali is a popular boxing icon. Most people will follow or like Mohammed Ali without necessary being boxing fans. I will have to research and find what a true boxing fanatic will know that other people wouldn’t know. Targeting people that follow or like Michael Moorer will make the ad reach true boxing fanatics. I would not know this if I don’t conduct an audience research. Many ecommerce businesses and online merchants make the mistake of going after the audience group that everyone is using. This increases competition for the same audience group/interest making it difficult to reach your target audience at the cheapest cost. Doing an audience research prior to creating your ad will ensure that you reach your target customers. One tool you can use for your audience research is Facebook Audience Insights. There are many detailed targeting options available in Facebook ads manager. These targeting options are grouped into 4 main categories and can be found when you click on the “Browse” button in the detailed targeting section. For instance, you may want to target new parents within 0 -12 months. The best way to do that is to click on the Demographics category, click on parents then drop down “All parents” and under all parents select “New parents (0 – 12 months)”. Using the detailed targeting options, you can target people based on various purchase behavior. This is a key targeting tactic to use when you want to target people that already have a specific purchase behavior. The detailed targeting section provides various options to help you refine your target audience. Take time to go through the various categories to find the best option that suits your advertising needs. Laser focusing your ads can be done with a technique called** “flex” targeting**. Flex targeting is one of Facebook’s advanced targeting options that allows you to layer your audience. It is an effective way of targeting the core audience within a market. Flex targeting essentially helps you to use multiple criteria to define your target audience. 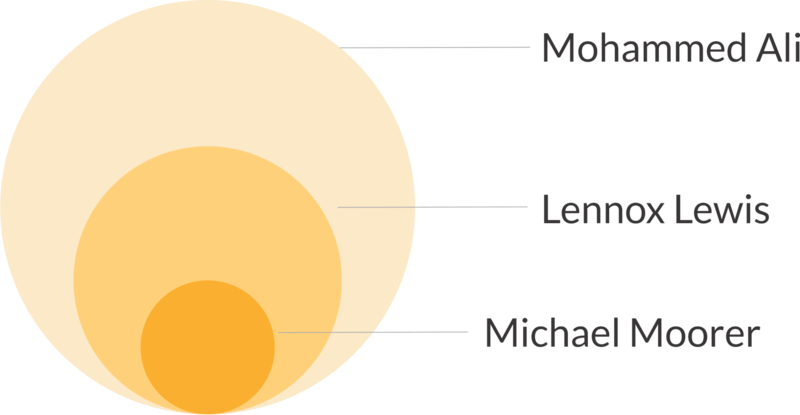 Think of it as a Venn diagram. Let’s take an instance where you want to target followers of Philadelphia Eagles with a branded beer opener. You will have to target people that have an interest in American football, are followers of Philadelphia Eagles and also like drinking beer. Flex targeting focuses your ad on a defined group of audience within a particular market. Only people who have shown interest in all the interest you set will receive your ad. Flex targeting enables you to laser target your Facebook ads and help you reduce cost-per-click (CPC) and increase your click-through-rate (CTR). Follow the steps below to laser target your Facebook ads. Open your ads manager and start creating your ad. In the detailed targeting section put in your first interest. I normally put in a broad interest that has a lot of audience typically above 1 million people. Click on “narrow audience” to add another layer of interest. I then narrow the initial audience with a refined interest. Put in your second interest, this will ensure that your target audience meet all three criteria. Click on “narrow further” to add a third interest. This means your Facebook ad will target an audience that have an interest in all three interest. Doing this will make your audience more refined and laser focused. 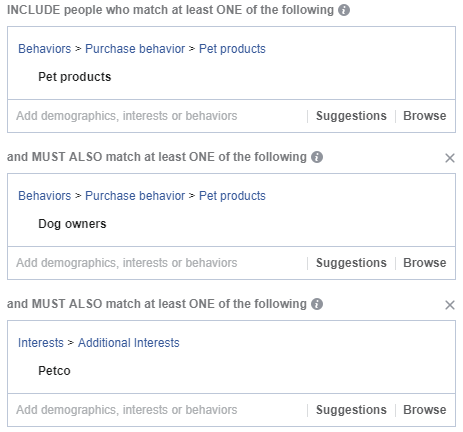 You can add multiple interests to each layer or you can exclude certain interest/audiences so that your ad is not shown to that audience group. How defined a target audience is, makes the difference between a successful and an unsuccessful ad campaign. The core of every ad campaign is the target audience if you don’t get it right everything else does not matter. Always make sure to conduct an audience research in order to identify your target audience. Narrowing your audience will allow you to reach the fanatics within your niche which will help you maximize your ROI.